“It’s that time of year….” The world is falling in love, planning the morrow, and (hopefully) avoiding holiday weight gain. Whoa. Back up. 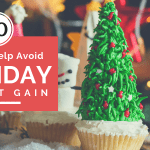 Avoiding holiday weight gain? Seriously? Have you met my pastry chef-wannabe mom? Americans spend the final two months of the year in a decorating/shopping/socializing frenzy anchored by gustatory free-for-alls. First it’s Halloween. (Don’t lie — you buy the candy you want to eat in case you don’t get many trick-or-treaters, don’t you?) Then the day for which you spend months planning and taste-testing: Thanksgiving. A couple days to digest during your tryptophan naps, a week to finish the comfort-food leftovers, and it’s back to the races. Holiday parties, Christmas dinner, college football bowl games, New Year’s. …I’m sorry — you wanna talk about avoiding holiday weight gain? Actually, yes. I would rather help you avoid the weight gain than help you plan the weight loss. More than anything, I want to help you embrace the merits and feasibility of balance. Only then can you enjoy what you love (And who doesn’t love a yummy spread of seasonal fare?) without the downside of feeling guilty or sacrificing your health. Re-calibrate your sweet tooth.God gave us an appreciation for the sweetness in life and the sweetness in food. He also gave us countless natural ways to satisfy it. Reacquaint yourself with the natural, unprocessed, healthful sweetness of fruits and vegetables. A bowl of strawberries? God’s candy! Be selective, not rigid. Sometimes we have to step back and recognize how blessed we are to have access to all that we need...and so much of what we want. Just because it’s “all” available doesn’t mean we have to eat it all, right? And just because we are selective doesn’t mean there’s no room for a little flexibility. Make selectivity your rule, and a little leeway your exception. Smaller plates, smaller portions. This is where the French have a head-start on Americans. Smaller portions allow you to savor and appreciate every bite and to feel good on that post-lunch walk. And chances are there is going to be plenty of food left when you are ready for seconds. Be in-season. We Americans are used to having access to what we want when we want it. Sometimes we don’t even know if a food we are looking at in the grocery store is really even “in-season.”There are reasons for eating seasonal foods. There is a rhythm to Nature and what she produces. Seasonal eating is a lovely way to stay connected to that rhythm. It also means that local farmers can flourish because non-seasonal foods aren’t being shipped cross-country to meet the demand for watermelon in December. Fresher food. Better prices. Healthier you. Don’t starve for the “big meal.”Sure, you don’t want to insult the cooks by sitting down for Thanksgiving dinner and saying, “I’m not hungry.” But eating small amounts throughout the day -- as you would on any healthy-eating day -- will keep you from gorging at the table and rushing off to collapse in front of the TV. Hydrate! Water, water, water -- all day, every day. Without water, your body can’t metabolize all the food you are putting into it, let alone flush out the bad stuff. And if you’re not giving your body plenty of fresh water, it will be forced to recycle “old” water. Yuk.Start with 80 oz./day as a baseline, and increase from there based on your weight and activity level. Yes, you may want to stock up on Charmin for a couple weeks, but your body will adjust to consistent and abundant hydration and allow you to wander more than a few feet from the bathroom. Get a head start on the new year. If you know you are carrying more weight than what is healthy for you, why wait for the mad New Year’s rush at the gym to take action? Go into the holiday season with the right mindset, and consider a healthy, sustainable weight-loss system that will have you ahead of the game on January 1.Check out the Sprint Set Energizing Weight Loss System here. Kathy and I love it, and you can follow her success while building your own. BE GRATEFUL! Leading with gratitude fits nicely with the practice of mindfulness. By slowing down and making choices with a mindset anchored in the present, you will open your mind and spirit to an awareness of the abundance in your life.As you give thanks for what is in front of you, remember to give thanks for the body that allows you to enjoy it and put it to use for the greater good of your loved ones and your community. Go for a walk.Despite all the family gatherings and the multitude of great football games on the TV that are calling you to stay seated, if you’re really set on avoiding holiday weight gain, you’ll find a way to get up and get active.You don’t need to run a marathon or jump into a spin class. All you need to do is go for a 20-30 minute walk every day. 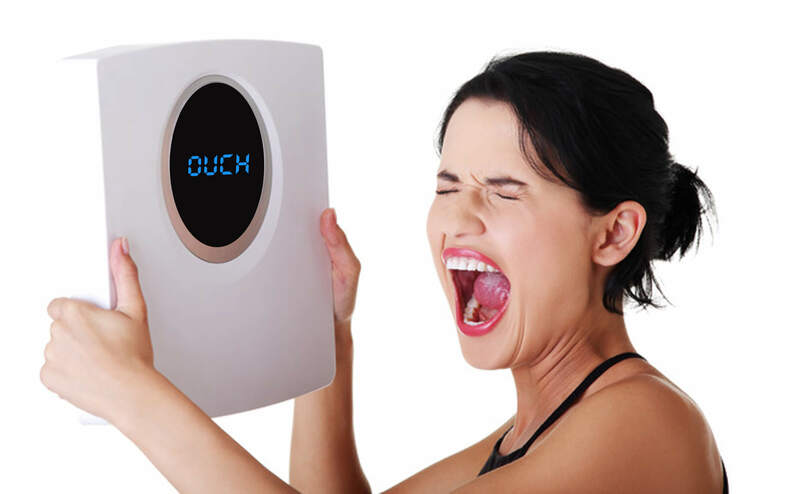 And according to this study, it will help you burn a few calories and aid your digestion. Invest in your health today, not in your sickness tomorrow! When you are properly nourishing your body, you don’t need to eat as much. You don’t even want to. And all the money you save on your grocery and medical bills can be invested in “God’s home”: your body. Enjoy the gratitude and giving of this magical season!